Republic of Poland – a green island of European Union economy where studies are provided in English language. Studying in Poland will provide a solid education which will prepare any student for work in the most advanced labour markets of the world. You will have a unique opportunity of learning from outstanding specialists and renowned intellectuals in your chosen field. Pursuing your studies in a country of great historical significance and continued aspiration. will undoubtedly be a fascinating adventure. Poland is a geographical and cultural crossroad of Eastern and Western Europe. Since joining the European Union (2004) and Schengen (2007), Poland enjoys a crucial position as the largest of the former Eastern Europe states and one of the most populous and economically sound members of the European Union. Currently a former Prime Minister of Poland, Donald Tusk, is head of European Union Council. Poland has a lot to offer for international students. It has over 400 public and private higher education institutions, many with centuries of distinctive tradition, modern, well-equipped and internationally recognised. Polish academic traditions date back to the 1364 when the first Polish university was created , the Jagiellonian University of Cracow, the second oldest university in Central Europe. Nicholas Copernicus and Marie Sklodowska-Curie are among the known names of Polish scientists admired worldwide. 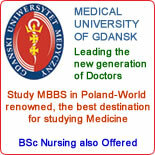 What Poland can offer is a great quality of teaching and reasonable pricing. It is not as costly as in many other European countries, while your skills will be recognised and respected anywhere in the World. Depending on what type of studies you choose, it is possible to study and live for less than 7000-9000 euro per year, which is for rest of European Union not even a cost of tuition fee. 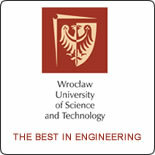 Education system in Poland is very demanding – it guarantees to deliver top specialists in their distinctive fields. The more specialised you become, the stronger will be your position in the market. Qualified faculty, student-centred staff, modern facilities, and a variety of courses taught in English with a state-of-the-art methodology can make Polish universities a good choice for students. Following a generous funding from the European Union, all Polish universities boast of high-tech laboratories. 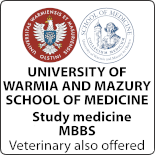 All leading universities of Poland offer Bachelors, Masters and PhD degree programmes that are taught in English. The most popular disciplines include medicine, engineering, architecture, humanities, business and finance. Studying in Poland can ensure a comprehensive education, which would prepare students for work in the most advanced and competitive markets globally, at the same time stimulating their personal development. In addition to the grading scale, Universities in EU have the European Credit Transfer System (ECTS) under which a certain number of credits are allocated to a given subject, independently of the grade awarded. It means you can start your Bachelor level at one university, transfer after one year to another one and then do the Masters degree in the third one. Moreover, the flexible system allows also special double-degree diplomas. 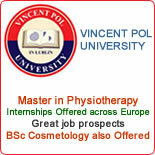 RECOGNITION: All degree studies are recognised all over the world and are equivalent throughout the European Union. LANGUAGE OF INSTRUCTION: All programs are fully taught in English language. To help young students pursue their dream of studying in Poland, we have selected some of the most renowned Award Winning Higher Education Institutions that boast about quality Education, beautiful location and Internationalisation.